Ah, burpees. This infamous, all-in-one exercise is a full-body strength-training and cardio killer. A burpee, in case you didn’t know, begins with in a squat position, with both hands on the floor in front of you. 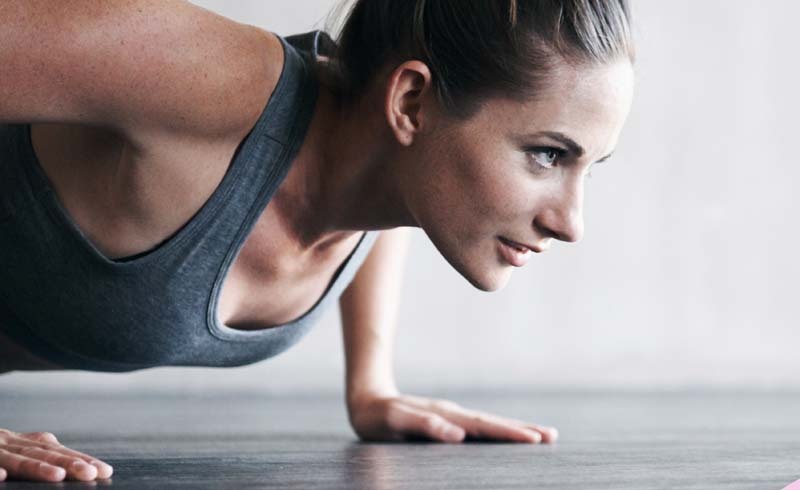 Next, you hop your feet back into push-up position (you can even perform a push-up here, if you’re a burpee superhero), and immediately return your feet to the squat position. Explode through the legs,and reach your arms up as you jump up in the air, landing lightly on your feet to immediately lower down again into a squat and repeat. Voila! And that’s just one burpee. They’re a wildly effective and exhausting exercise, but doing endless burpees can get mind-numbing. For those who absolutely despise burpees, try to mix it up with these alternatives, which hit all the same areas of fitness and don’t skimp out on the intensity. Work them into your everyday routine, in place of burpees, or use them all, doing three sets of 20 reps of each, for a fat-blasting workout you can do in mere minutes. Place a kettlebell between your feet; keeping your chest up and your back flat, squat down to grab the kettlebell with both hands. To begin: Drive though your heels and forward with your hips to swing the kettlebell up to chest height. Let the kettlebell swing back between your legs; bending your knees to absorb the momentum and immediately repeat. Begin in a standing position, feet shoulder width apart, in front of a box or step. Keeping your chest up, drop into a squat as low as you can, placing both hands on the ground. 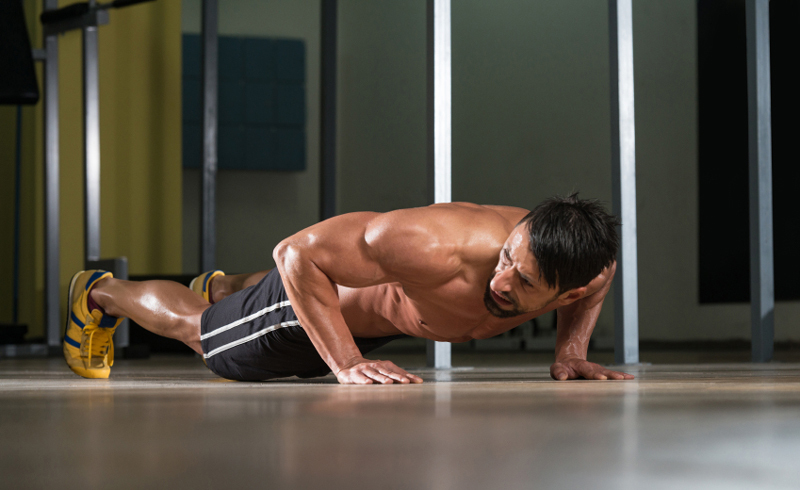 Pop your feet back into push-up position. Bring the feet right back in to squat position, and jump as high as you can onto the box. Land with soft feet and immediately hop backward off the box. Land with soft feet and lower down into another squat to repeat. Start in a standard lunge, right foot in front, both knees bent at 90 degrees with your body weight evenly distributed between your front and back foot. Explode up from the lunge, using your arms for momentum, switching leg positions mid-air. Land softly with your left leg in front, lowering down into the lunge and immediately begin your next jump. Continue to repeat, switching your legs each time. The higher your jump, the easier it is to switch your legs. Start in push-up position with your feet together and your hands directly underneath your shoulders. To begin: Keeping your hips down, (don’t bend at the waist) bring your right knee into your chest. Explosively reverse the position of your legs, extending the right leg back, supported by the toe, and bringing the left knee up into your chest. That’s one rep. Do 5. Then, bring both feet on either side of your hands so you are in a squatted position. Explode through both legs and swing your arms overhead to jump as high as you can into the air. Land with lightly, bend your knees and lower your hands back to the ground, and then pop your feet back into push-up position, and repeat.